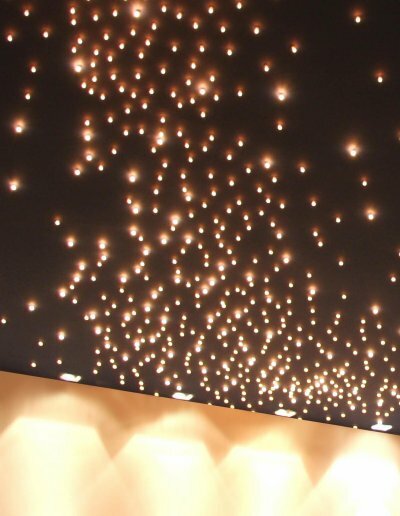 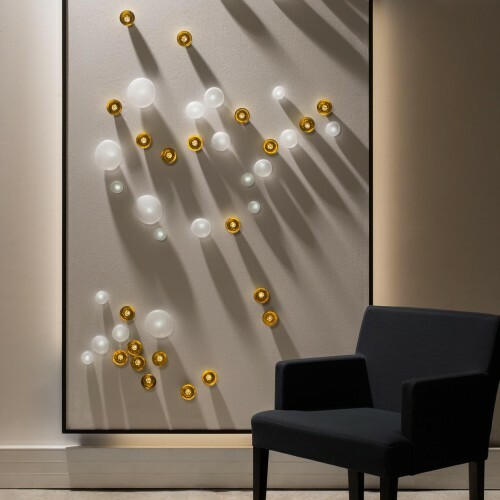 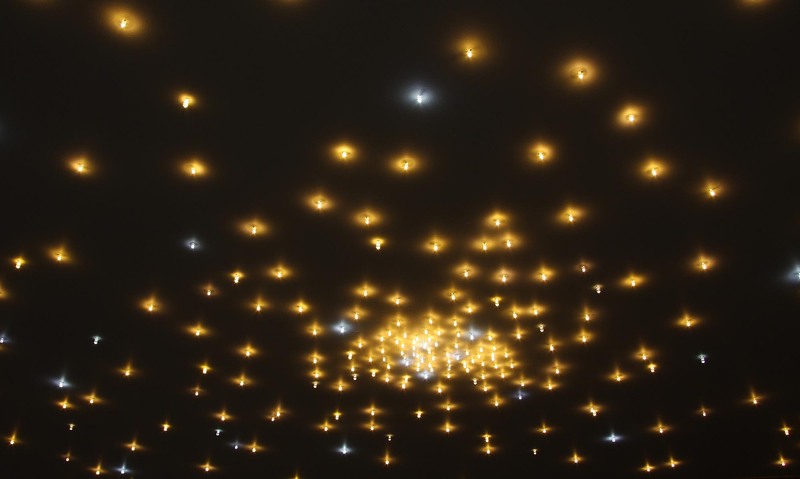 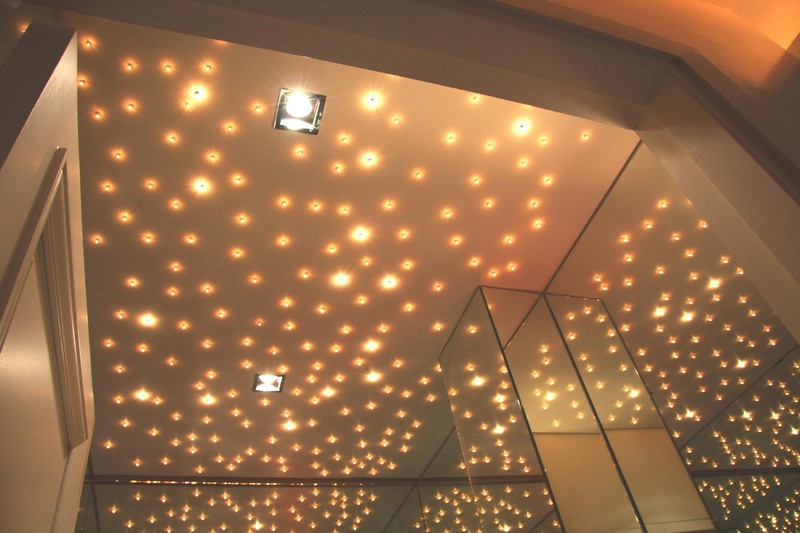 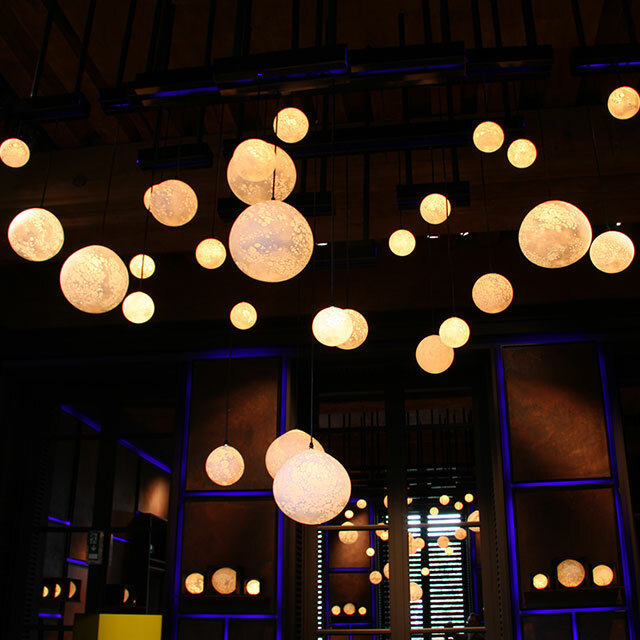 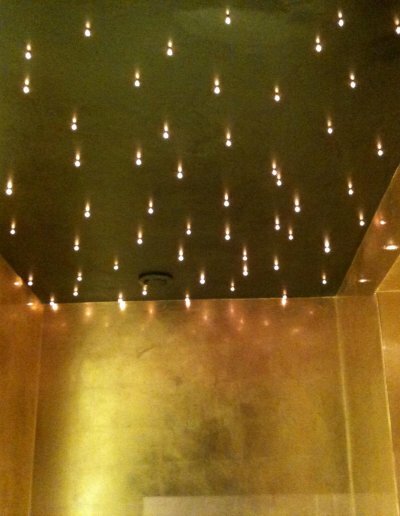 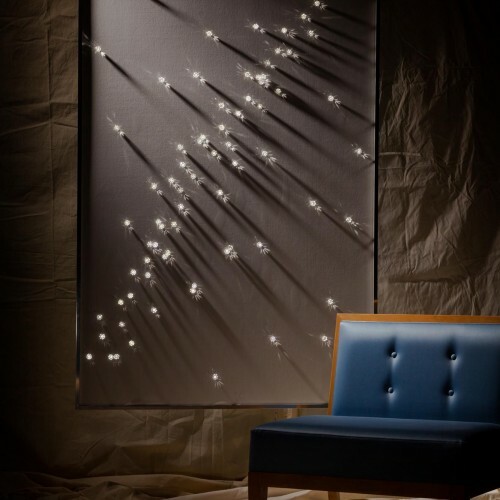 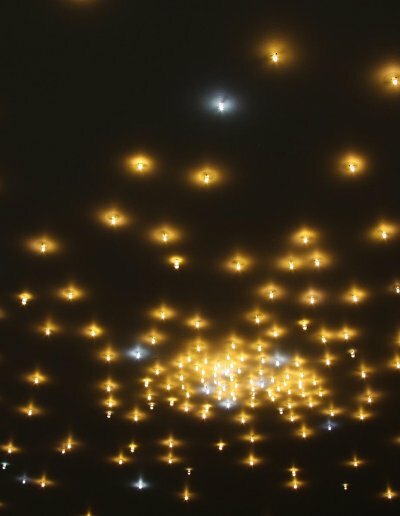 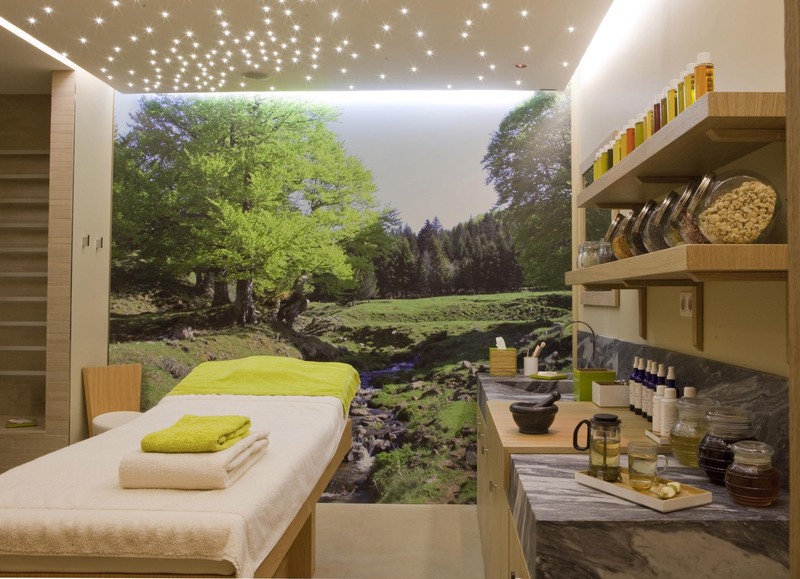 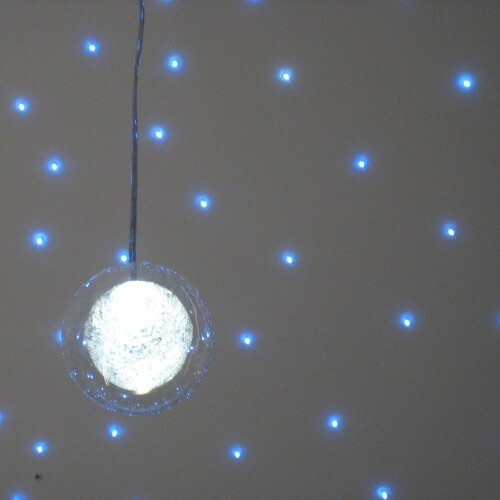 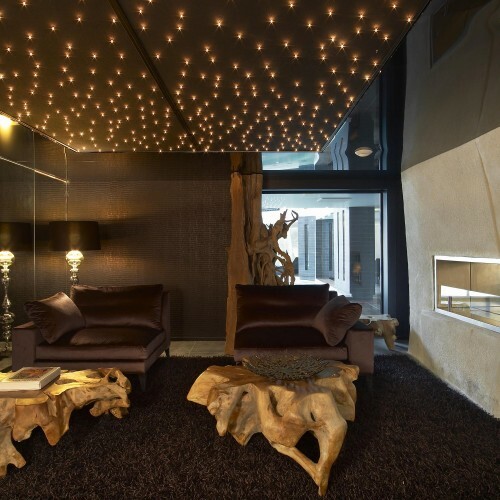 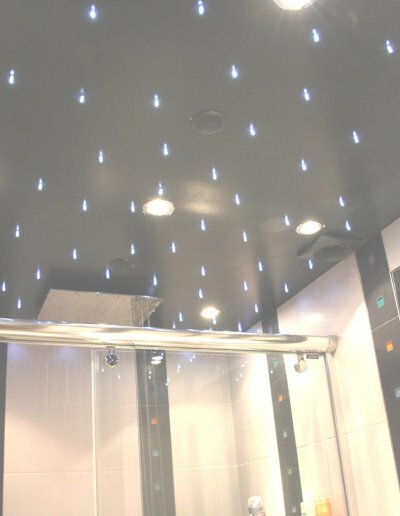 Our starlit Ceiling / Wall allows you to create a personalized atmosphere by dotting your interior with Etoile-LEDs. 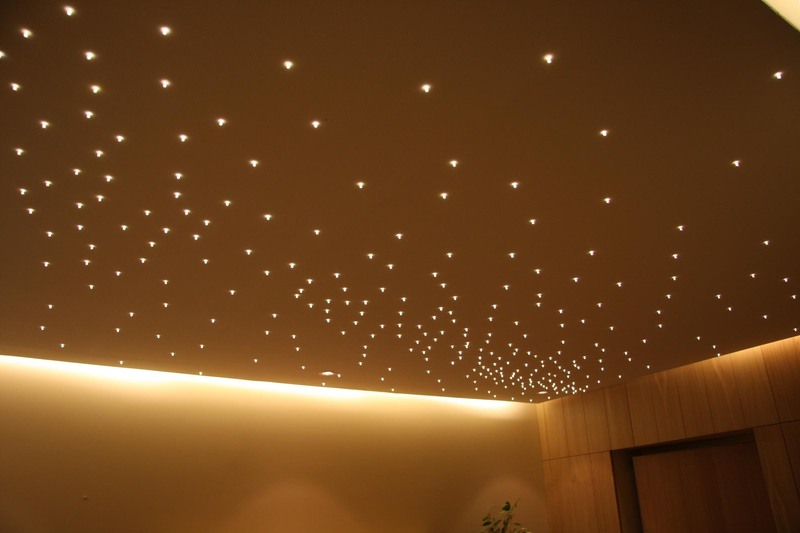 It fits perfectly with the architecture of any place as it is easy to cut, and thin. 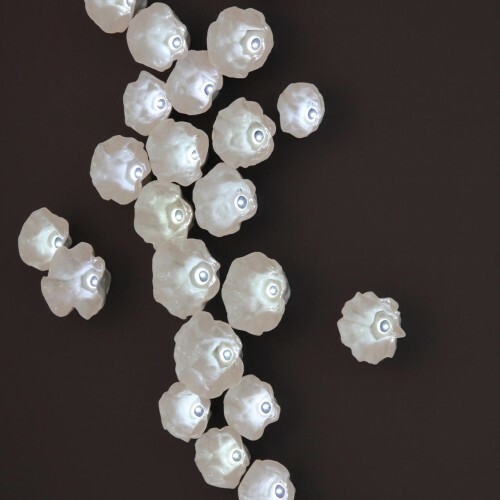 Unlike conventional systems, such as optic fiber, LEDs are placed simply by pinning them into the conductive panel. 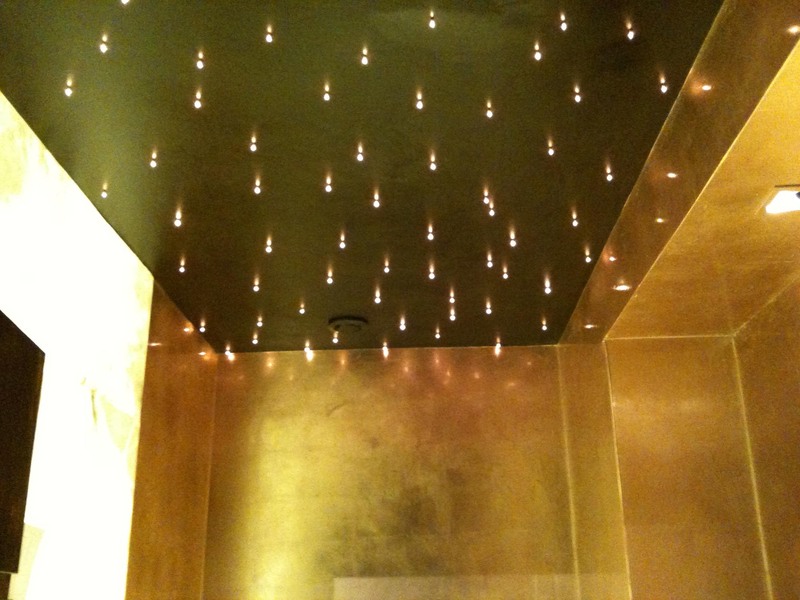 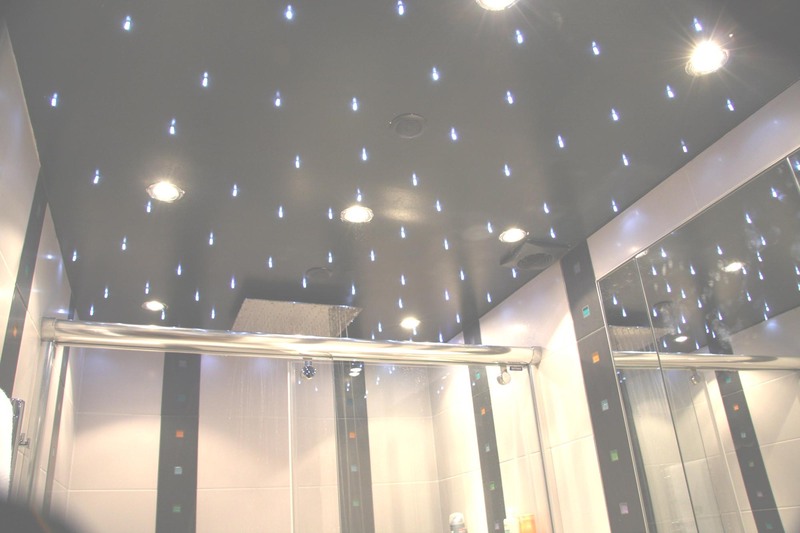 Our starlit Ceiling / Wall is easy to install and it also is the only starlit system that can be re-painted in the future. 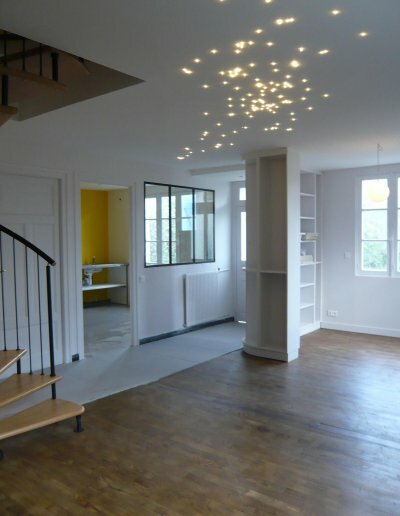 The lighting effects are perfect thanks to miniaturized optical lenses. 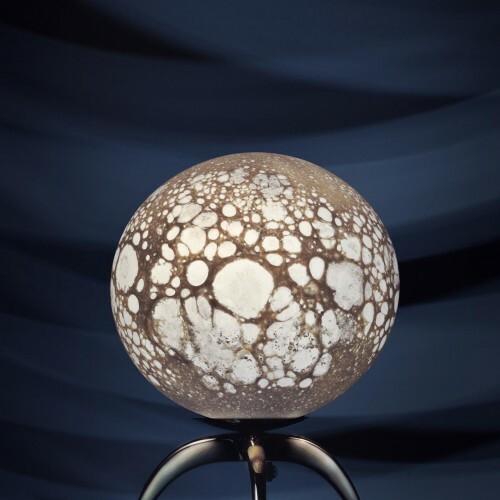 It received the prestigious VIA award. 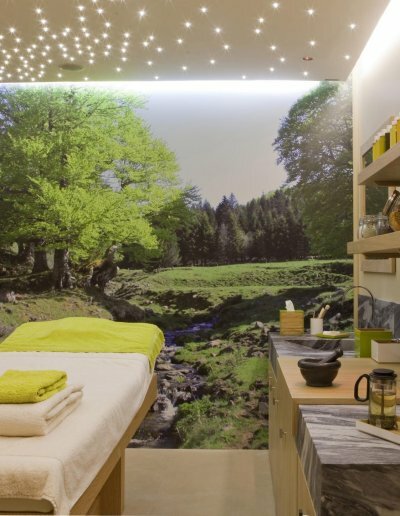 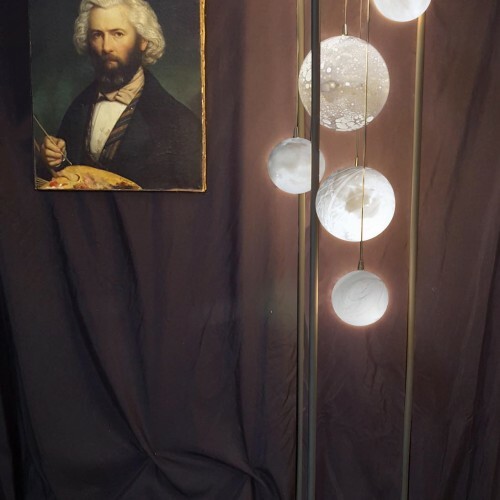 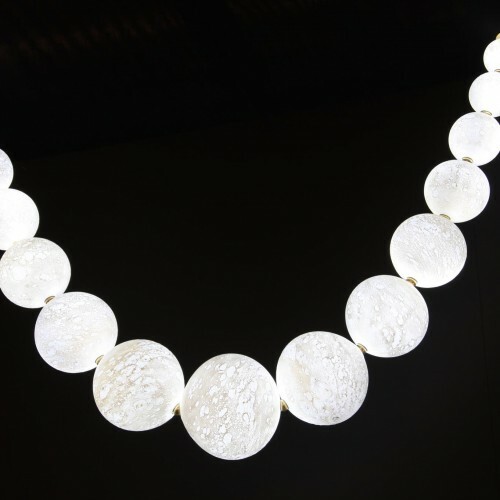 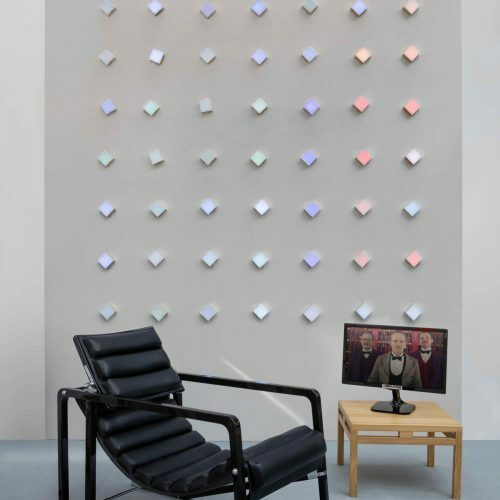 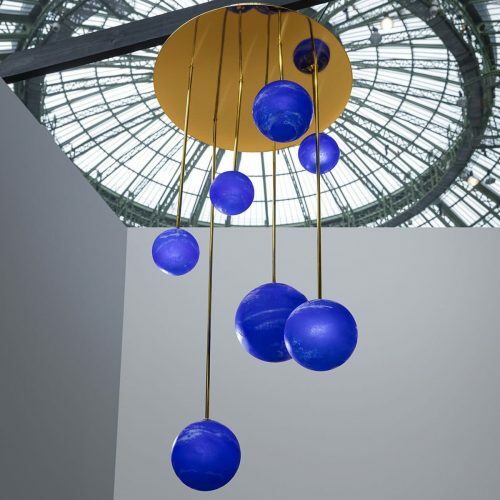 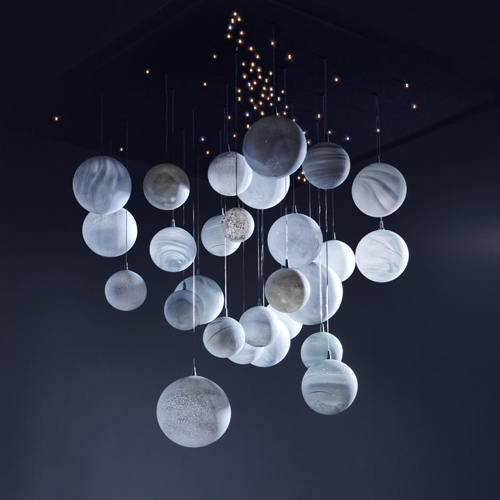 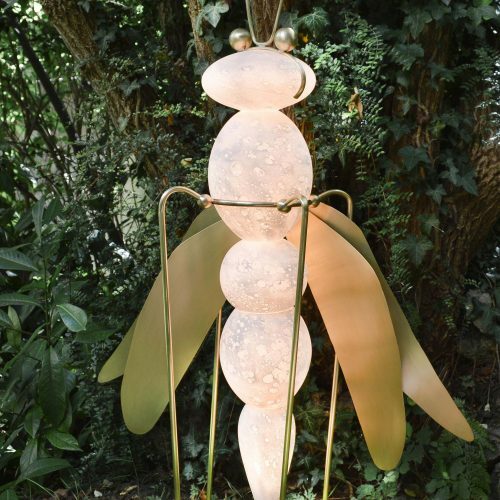 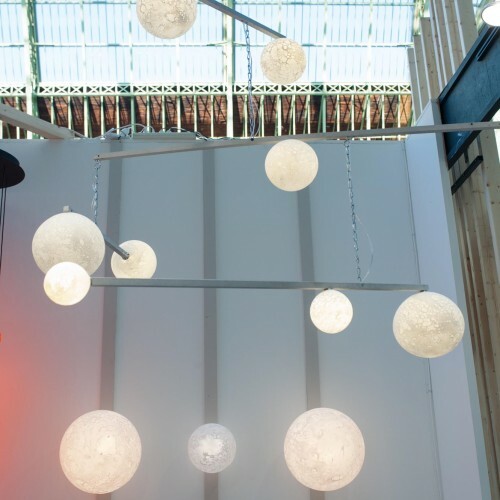 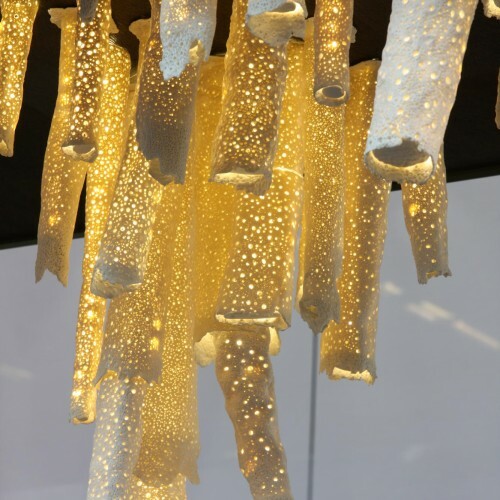 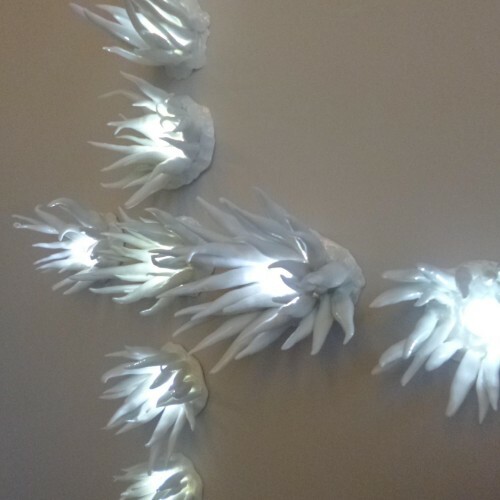 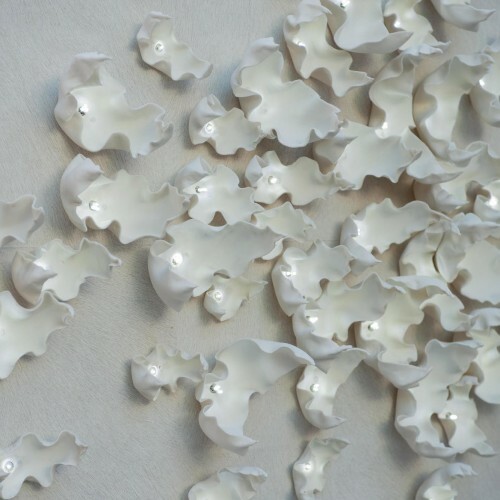 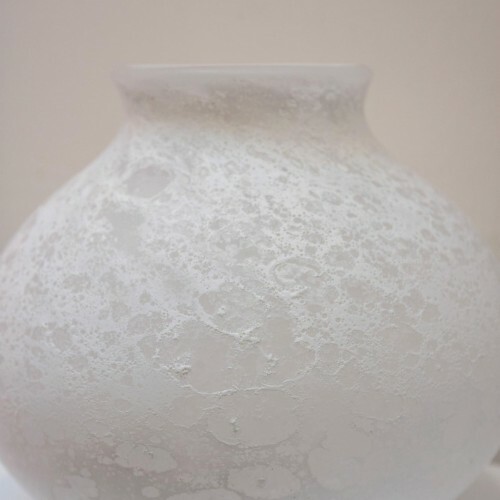 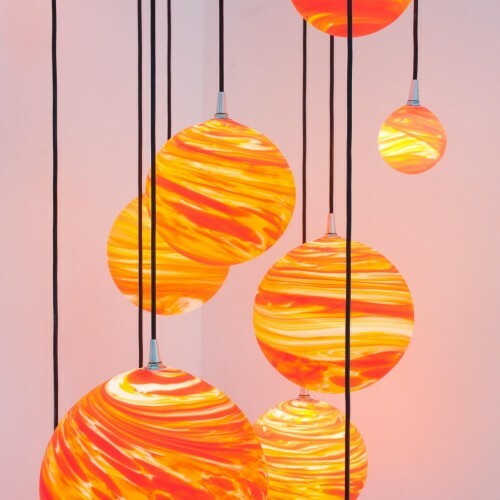 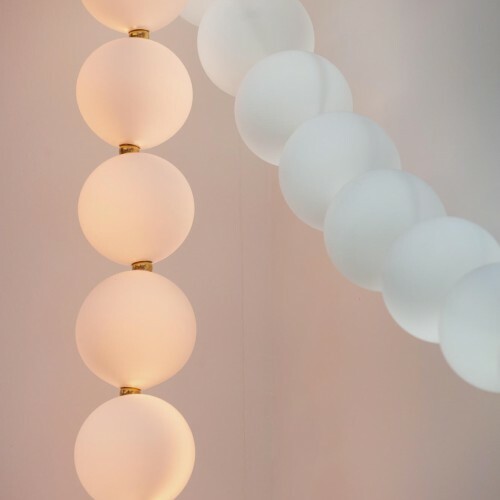 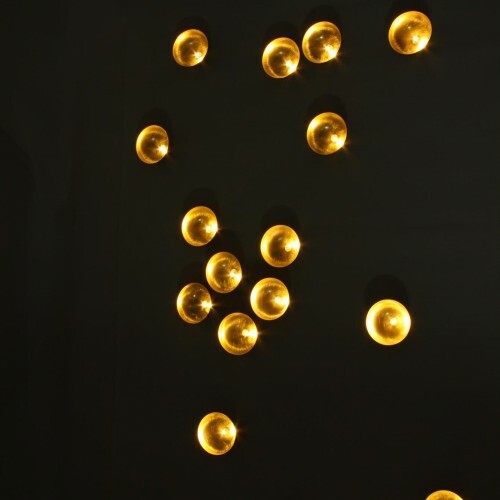 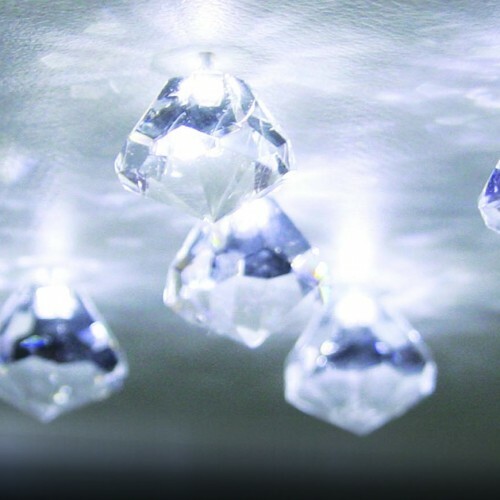 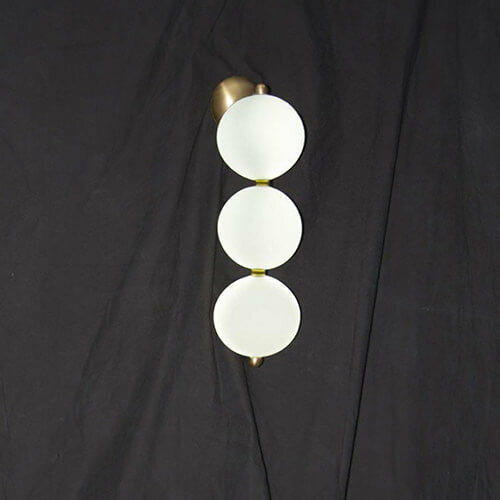 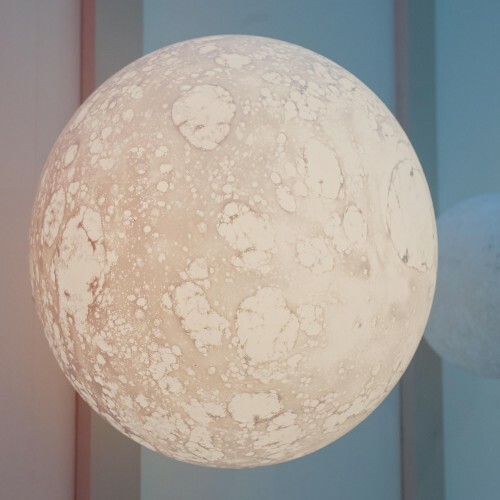 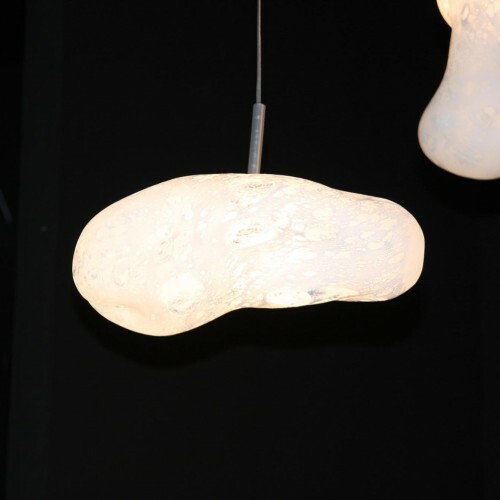 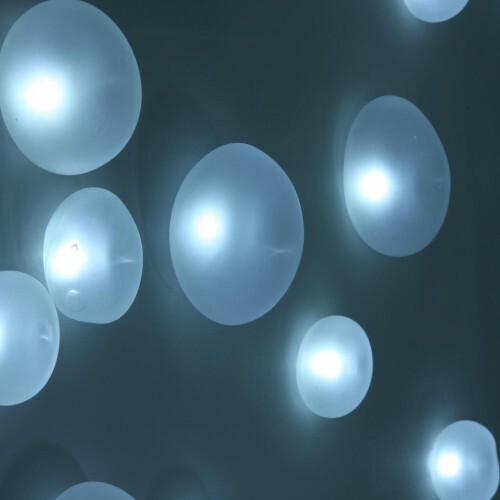 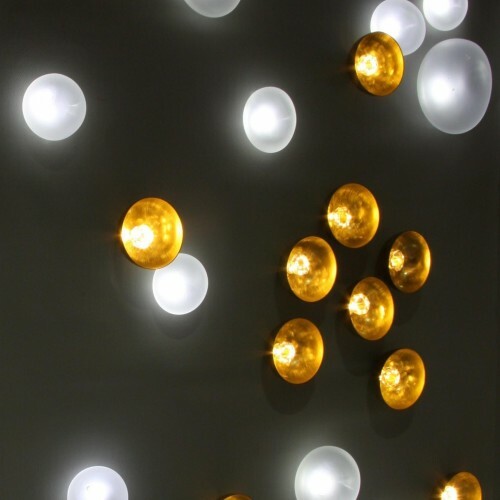 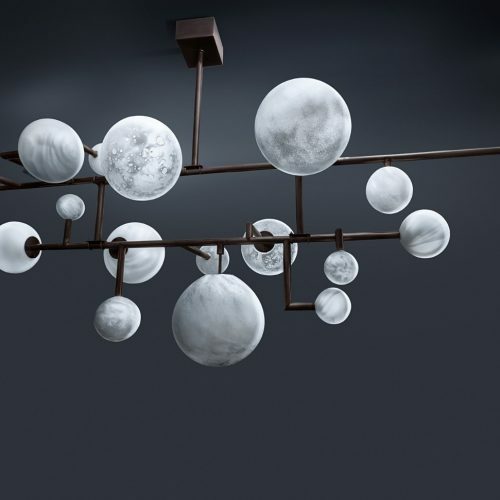 Ceiling or wall and is located at https://www.semeurdetoiles.fr/creations/lunes-lustre-et-suspension. 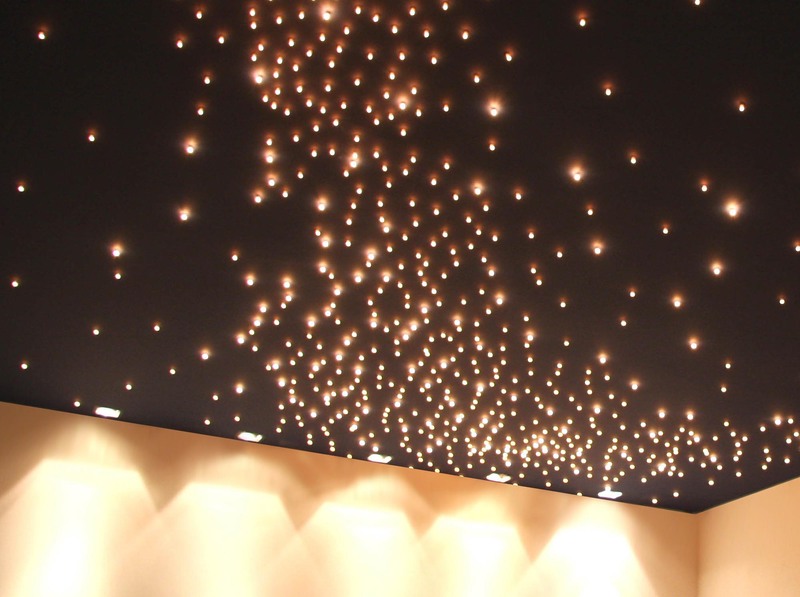 Starlit ceiling, black covering, Home cinema, 4x6m, Paris / An architect designing the home theatre of a large Parisian duplex wanted to replicate the milky Way on its ceiling. 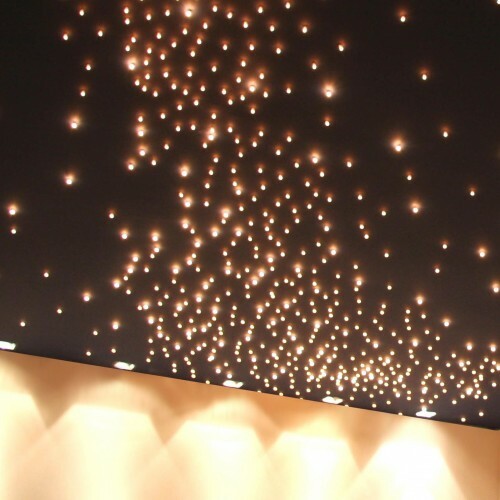 While swiching on the LEDs , the matte black paint becomes nearly invisible and the stars appear to be just out of reach. 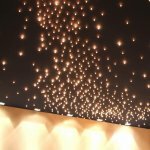 Starlit ceiling, 15 000 stars-LEDs, 400m2, Seven Spirits, Paris / For the owner of a Parisian ballroom, Semeur d’Étoiles designed and installed the largest European starlit ceiling. 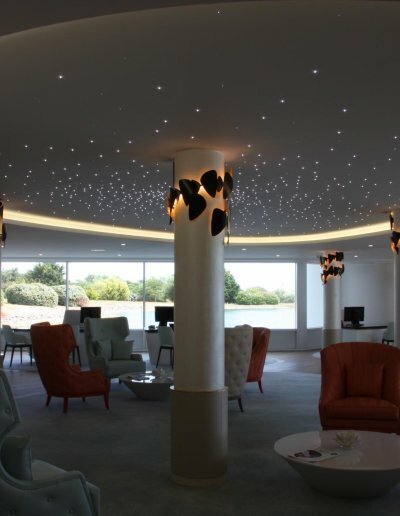 Despite the room’s network of beams, we succeeded in creating a ceiling that preserved the room’s high ceilings and added acoustic attenuation. 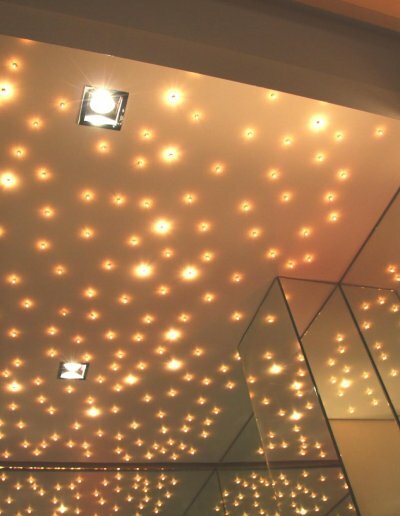 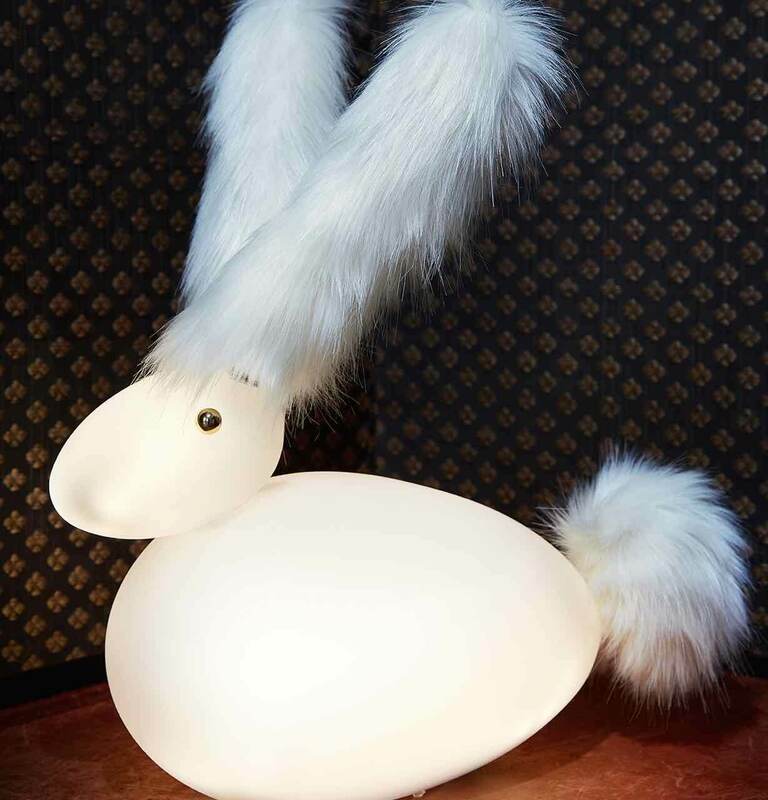 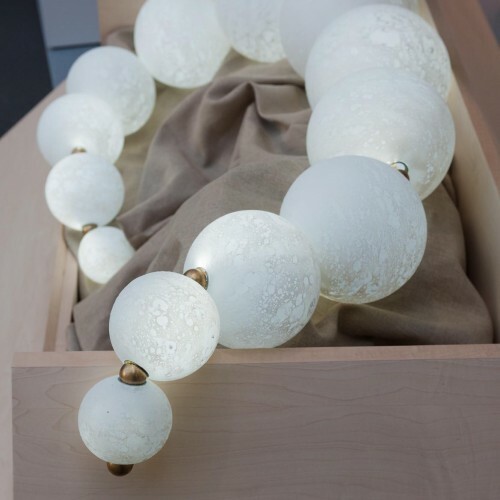 We used a combination of different LED intensities to create the feeling of depth. 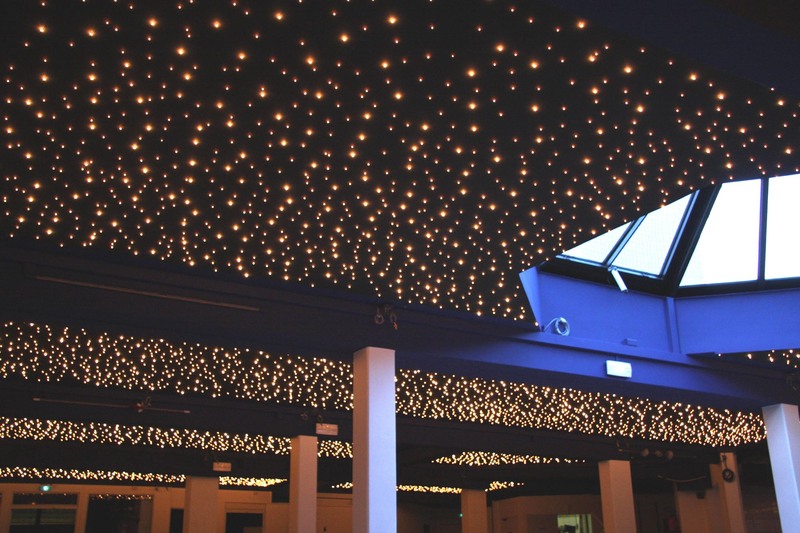 The starlit ceiling has become the main attraction of the ballroom, allowing the owner a rapid return on his investment. 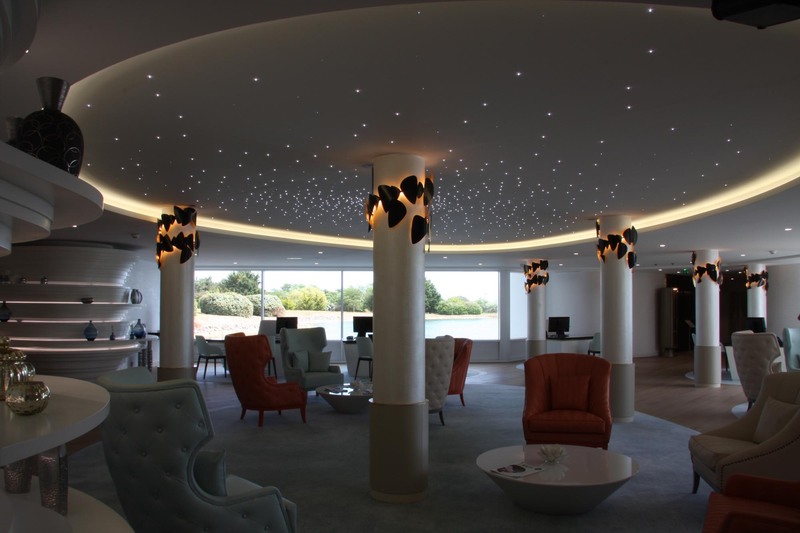 Starlit ceiling, pure white LEDs, entrance hall, 60m2, architecte Agetec/V.Pinel, restaurant Emeraude, Fouras / The architect wished to create a welcoming ambiance in the large main hall, which leads to a more intimate dining room. 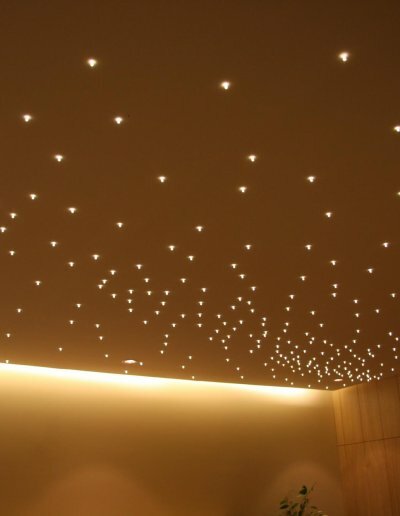 The solution was to play on volume: a starlit ceiling installed by a plasterer on a classical beamed structure. 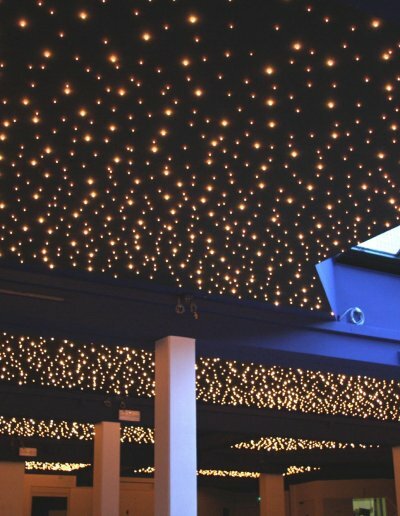 Intense pure white LEDs, visible even in daylight, greet customers and plunge them into a new universe. 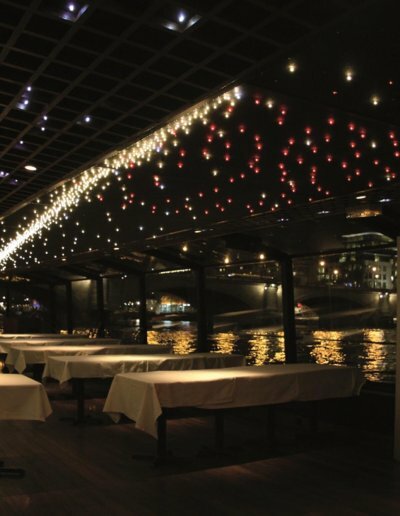 Starlit ceiling on a riverboat on the Seine, LEDs in warm white, pure white and red (static and sparkling), 30×1,5m, Marina de Paris, Paris / The owner of a Parisian riverboat cruise company wished to create an unforgettable setting in which to welcome guests aboard. 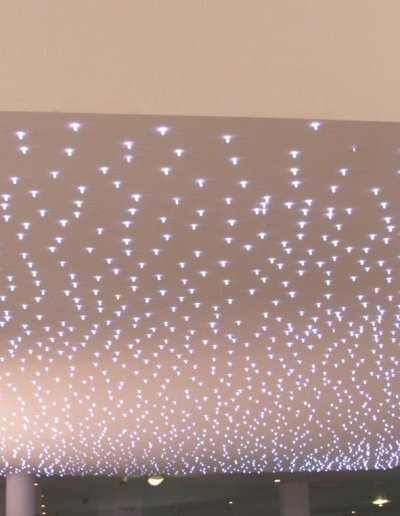 Many technical constraints made this project challenging: humidity, vibration, temperature, noise, the difference in light quality during the day and at night, access to the power supply, and work while the boats continued to be on service. 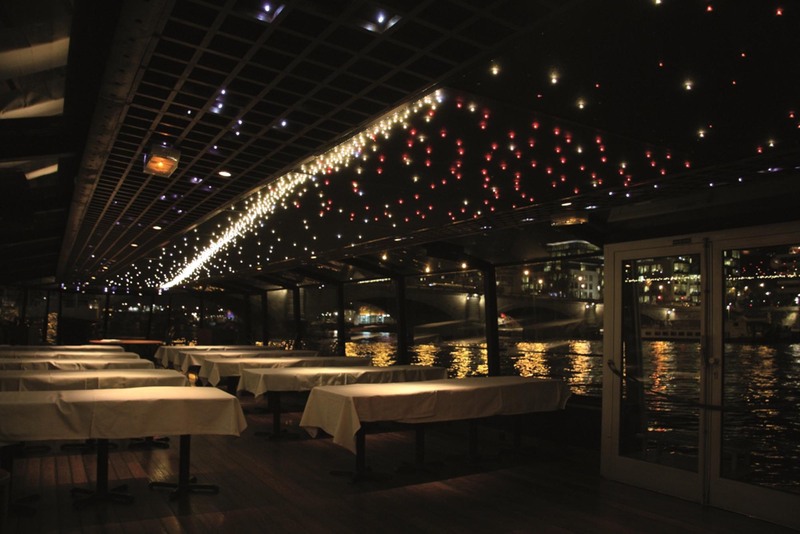 Nevertheless, Semeur d’Étoiles was able to design and fabricate lighting that enhances the elegant lines of the boats.